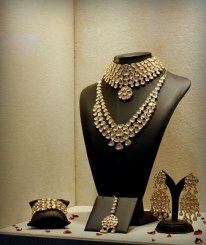 Jaipur Jewellery Show was in its 10th year. This is the Largest B2B as well as B2C Jewelry Show of India. 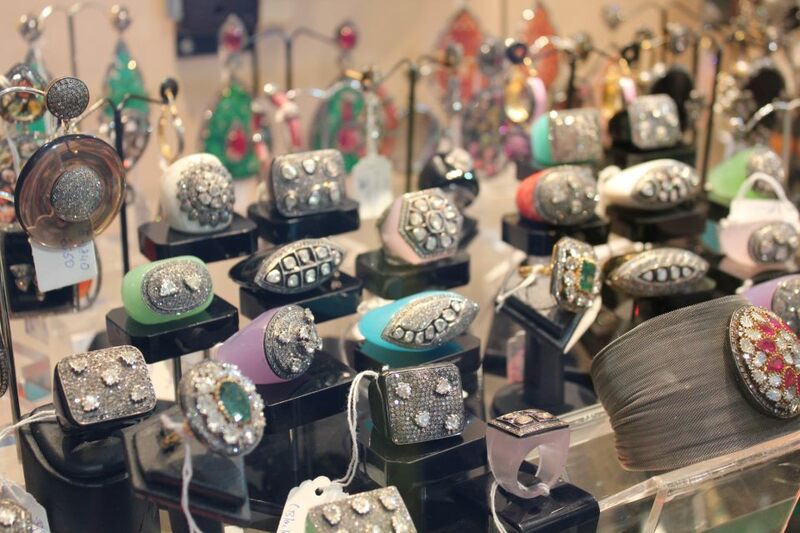 Popularly known as JJS or the DECEMBER show, more than 30 thousand visitors view this jewellery show every year. 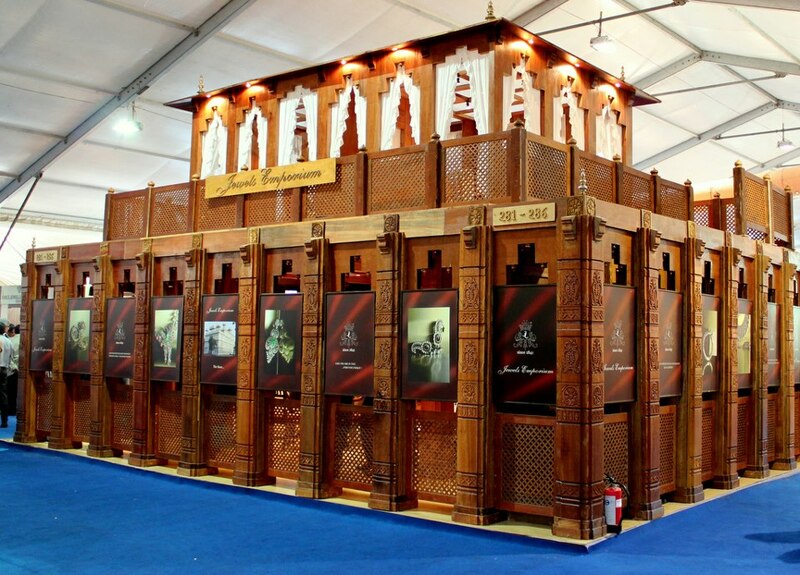 This year, the show had 464 stalls of jewellers from across the globe. They displayed their best creative work. The theme of this year’s show was ‘Diamond Jewellery: Jaipur adds colour to it’. 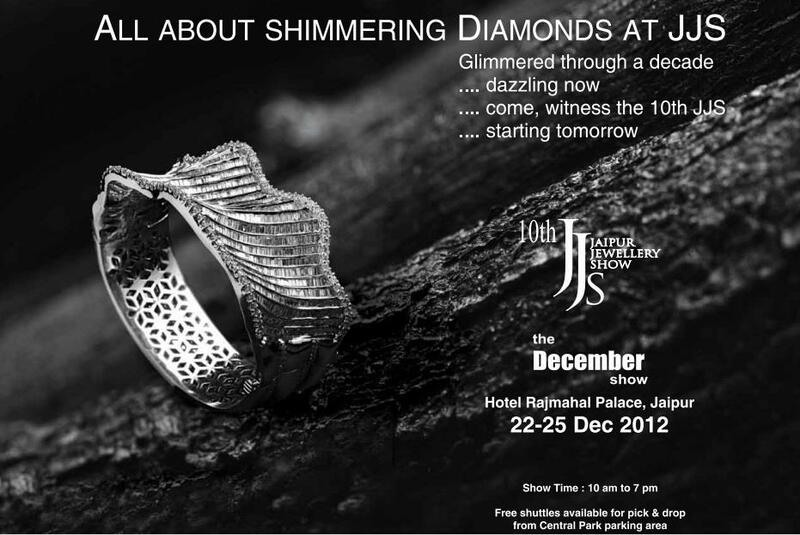 The JJS-2012 focused on the latest designs and new settings of jewellery. 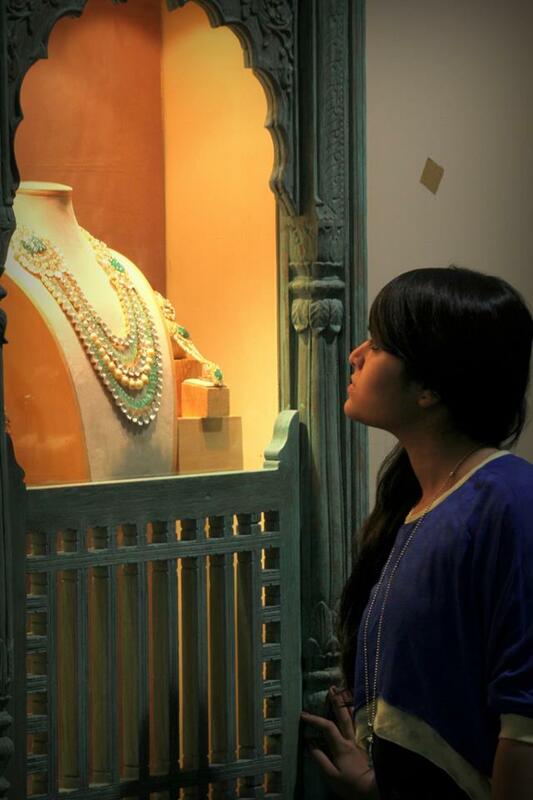 People got to see the latest in fashion, from traditional heavy gold ornaments to light weight jewellery. When the organizers of Jaipur Jewellery Show decided to launch and cover it on social media, it had the following objectives in mind. JJS had built a strong presence through its well-maintained website. Two years back they created their profile on Facebook. We, Pathfynder, as its social media agency, took over the social media of JJS in the year 2012 and converted that profile into a page so as to integrate the profile and the page as well as their fans. The approach was pro-active in terms of providing all the important information regarding the registrations for the event, the conveyance and the parking arrangement, the participants, etc. The primary platform used for the event was Facebook. Apart from the daily updates, all the newspaper advertisements, articles about JJS were featured on its Facebook page. After the event started, live updates were done with the beautiful pictures of jewellery, stalls, and organizers in addition to providing the live info about the inauguration ceremony, chief guests and the launch of the new calendar, etc. Cover picture of the fb page was changed frequently and queries were responded to by us quite promptly. In addition to Facebook, various other platforms were also used for live coverage of the event. Apart from the conventional Facebook, live tweeting was also done from the venue itself. 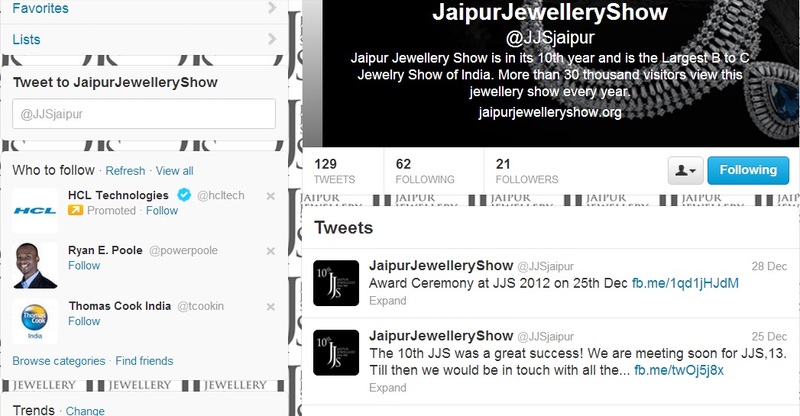 The hash tags like #jaipur, #jewellery, #jjs2012 were used in order to make JJS 2012 one of the most trending topics on twitter. The hash tags were used in all the posts of facebook and hence forwarded. The hash tags helped in attracting a lot of international jewellers to attend this show and provided them with all the updates of the show like they were present there. We also proposed the idea of pulling out news from the blog of JJS which was updated every day. The press releases, raffle draw sponsors and winners were immediately acknowledged on the blog and the links were shared on the Facebook page along with the hash tags. Photo-Blog was posted daily on the official blog of JJS during the show dates which were comprehensive and gave a glimpse into all the important events of the day. The blog had the direct links to JJS’s facebook and twitter page so that it would take the visitor directly to the respective pages. One very important part at the show was played by our Photography. As it is said “A picture is worth a thousand words”, we set a great example to prove this. The dazzling jewellery and some magical moments of the show were captured by us and uploaded on all the social media websites which in turn allured the jewellery lovers and various tourists to come over and attend this extravaganza. For the first time, an event was covered on the recently emerging social media platform; Pinterest. Pinterest is a pin board style photo sharing website where one can create and manage theme-based image collections such as events, interests, hobbies, and more. Various pin-boards were created for the profile of JJS viz. JJS 2012, JJS in Press, etc. All the pictures, advertisements in newspapers, press releases, etc were directly pinned to the board created on Pinterest. According to a reliable survey, 60% of Pinterest users are females. That itself explains the purpose of using Pinterest as a platform for covering JJS 2012. Hash tags were also used in the captions on Pinterest so as to forward them directly to twitter. The fashion show by JJS was a substantial part of this event. It was clicked and covered by us in every form; photography, the high-quality pictures were uploaded on Facebook along with the hash tags and the summary of the event which included the recognition of chief guest, participant jewellers, etc was also updated on the blog. 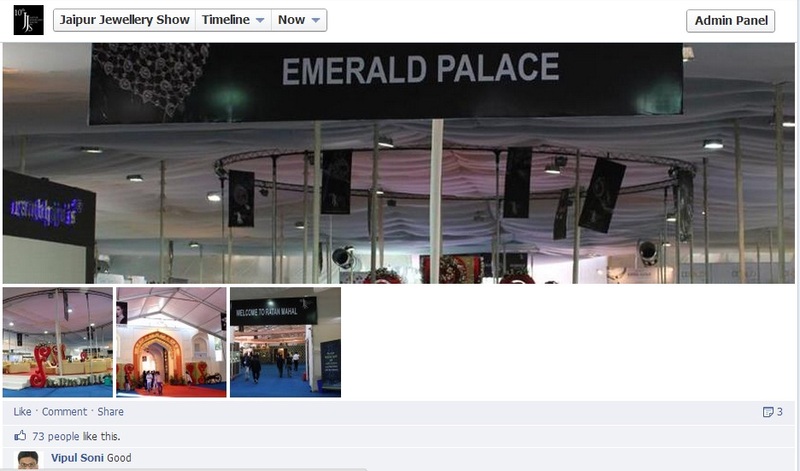 The more the engagement on the facebook page, the more were they eager to attend the jewellery show. When the event was talked about online along with high quality pictures and blogs, it created a sense of trust and standard which attracted the audience and jewellers towards it. Be it a brand, a product or a service, an event can utilize social media platforms as long as it knows the right way to exploit them at the right time and right manner.